Founded in 2005 to celebrate the legacy of Rascal author and hometown hero Sterling North (1906–1973), the Edgerton Sterling North Book & Film Festival has expanded in recent years to include talks and readings with local and national authors as well as “how to” sessions for aspiring authors seeking to publish new works. Festival organizers and co-chairs Diane Everson and Michelle Hamm stress the importance of offering festival programming that encourages community engagement in the arts and cultivates life-long learning. To this end they have incorporated a new learning element to the film side of the festival this year. “We have shown films in the past, but this year we wanted to have well-known authors and film industry persons tell our audiences ‘how to’ take a book to TV, write a screenplay, write and produce a film, and do special effects,” says Hamm. A build-up event in July premiered a stage adaption of Paul Fleishman’s award-winning book, Seedfolks, which has recently been a Community Read title for Sun Prairie as well as for other cities across the U.S. This year’s Edgerton Sterling North Book & Film Festival in September will feature Elizabeth Ridley, Wisconsin author and screenwriter of her first feature film, Handle With Care; Deborah Blum, well-known author of The Poisoner’s Handbook, and the subsequent PBS program of the same name that premiered last year; Sun Prairie resident and special effects creator, Alex Falk; and Bobby Schmidt and Mark Winter, two writers, producers, directors, and independent filmmakers from the Milwaukee area. “These people were asked to participate because they each bring a different talent to the film side, and we are delighted that they [will] share their time and talents with our audiences,” says Everson. The film component is a welcomed addition to a festival whose overall goal is to cultivate a stronger and broader community of writers, readers, and artists of all ages, and organizers hope the expanded festival will grow the reputation of Edgerton as a hub for film as well as for literature. Other featured presenters for 2014 include nationally renowned children’s author, David Wiesner, winner of the 2014 Sterling North Literary Legacy Award for Excellence in Children’s Literature; Wisconsin Poet Laureate Max Garland, in-demand youth authors Ben Mikaelsen (Touching Spirit Bear) and Terry Wooten (Stone Circle Poetry); Madison’s Nora Barnes and Toby Sandler Mystery Series couple, Betsy Draine and Michael Hinden, and others. 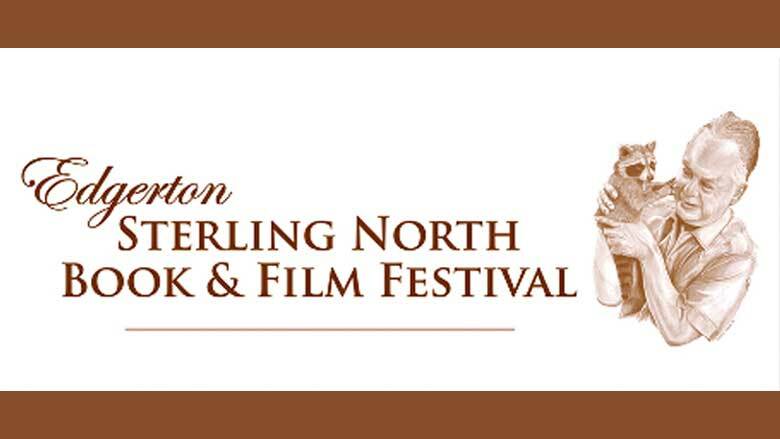 The Edgerton Sterling North Book & Film Festival takes place on September 27, 2014. Admission is free.